Town in the province of Bolzano, Egna (Neumarkt in German) is the main center of the Atesina Lowlands, situated along the famous "Wine Road" (Weinstrasse). The charming old town of medieval origin, is characterized by arcades (Lauben), frescoed houses and monuments in the Venetian style. The town's name derives from "Endidae", the name of the ancient "mansio" (carriage station) along the Roman Via Claudia Augusta. Archaeological remains have been brought to light following a campaign of excavations, which today can be visited. Thanks to its strategic location along the Via Claudia Augusta, at short distance from the river Adige, Egna has always been a trading point for goods and people and, therefore, a center of strategic importance. 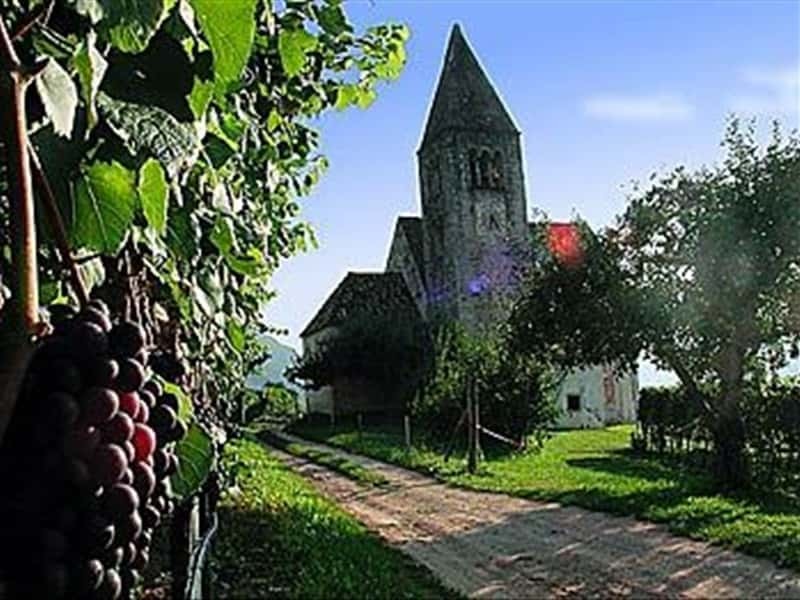 It is a little architectural gem, nestled in a fascinating and unique location, ideal destination for nature lovers, trekking fans and people that desire to combine their holidays with good food and wine (the Pinot Noir is an excellent wine produced in Egna). - the Klösterle, in the district of Laghetti, is one of four best preserved pilgrimage hostels in Europe, originally built in the XIII century and expanded in the late XIV century. This town web page has been visited 28,660 times.